Angry Bear Lawn Care, Inc. has been a trusted name in the southeastern Michigan snow removal industry for over 25 years. Our snow removal division specializes in commercial and industrial properties with personalized and specific scopes of work for each site. 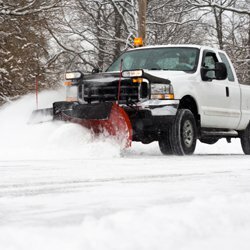 We offer many options to meet your snow removal needs such as all-inclusive pricing, snow plowing prices per push, salting prices per ton and salting prices per application. Our experienced operators and drivers are available 24/7 to ensure our customers receive the prompt and reliable services they deserve. With our well-maintained and up-to-date equipment, we are able to maintain safe winter environments for our customers in a timely and efficient manner. Please call our office at (734) 422-022 to see how Angry Bear Lawn Care, Inc. can provide a safe and worry-free winter for you!